UC Santa Cruz and Silicon Valley leaders on Monday marked the 130th anniversary of Lick Observatory, which has been at the forefront of astronomical research since 1888. The University of California owns and operates the facility, which was founded by a bequest from James Lick. The $700,000 gift was the largest philanthropic gift in the history of science and would amount to $1.2 billion today. State Senator Bob Wieckowski (D-Fremont) presented a state resolution to Blumenthal on behalf of the South Bay legislative delegation in honor of Lick Observatory. The presentation took place at the observatory’s 36-inch Great Refractor telescope. Lick serves astronomers from all eight University of California astronomy campuses, as well as Lawrence Livermore National Laboratory and Lawrence Berkeley National Laboratory. Its users range in age from undergraduates to the most senior astronomers in the UC system. More than 100 observers are pursuing science programs at Lick at any given time. It is also the UC’s chief site for testing new technologies and instruments for optical astronomy. 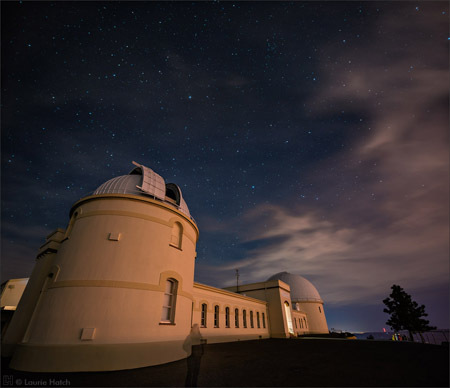 The technical facilities at UC Santa Cruz and UCLA upgrade existing instruments and develop new instruments for Lick Observatory. Santa Clara County Supervisor Dave Cortese credited the observatory with helping make the area an 19th century tech hub.